Commercial and industrial buildings should always be looking for ways to save extra money. Many business owners are pleasantly surprised the type of savings that are possible with a few minor changes. One change that has the potential to bring you an amazing return on investment is installing LED lighting around the building. LED lights use far less power than traditional incandescent light bulbs. This makes them the much better option in terms of the environment. You can use far less power depending on what type of lighting you get. There are options available to get lights that dim or only turn on when it detects motion. Due to the fact that LED lights use less electricity, it is going to result in substantial savings on your monthly electric bills. The initial cost of installing LED lights will certainly be offset over time by these savings. 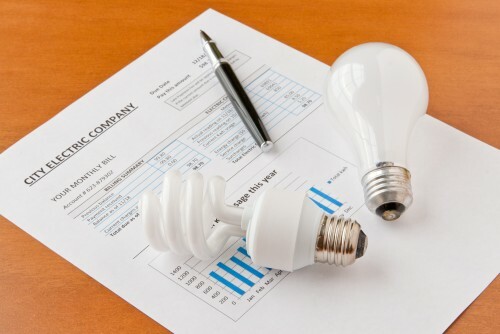 Your return on investment will also save additional money with not always needing to purchase new lightbulbs. LED lights have a much longer lifespan than traditional bulbs. As a comparison, LED lights generally last from 50,000 to 100,000 hours, while incandescent bulbs only last for about 2,000 hours. Certain older types of light bulbs can really heat up a room. They also waste most of the energy they consume as lost heat. This can force your air conditioner to run more often in order to offset the extra heat. LED lights do not add any extra heat to a room. This means there are extra savings to your energy bills every month. With savings coming from so many places, it is no stretch of the imagination to say that LED lights will quickly pay for themselves. There is no reason to continue operating out of a building that still runs on inefficient systems. To see just how easy it can be to get a return on investment with LED lighting in your business, contact NCLED at 920-455-8338 right away.